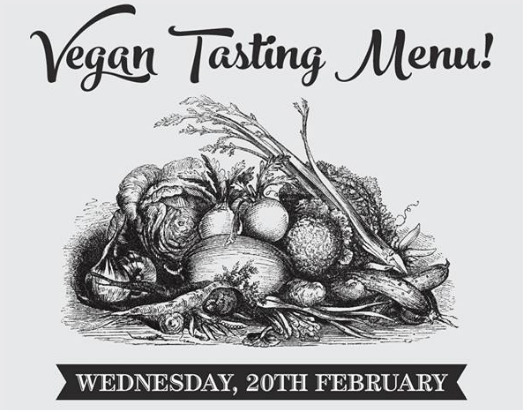 Join us (Wednesday, 20 February 2019) for our vegan tasting menu night in Bath! Enjoy five vegan courses for £40pp with an optional vegan wine flight for £25pp. There will also be a full range of beers, wines, ciders and soft drinks – all vegan! To reserve a table call 01225 423731.